"All I ever seem to read about on the web is positive homeschooling experiences. I'm on the verge of deciding to homeschool my 4 kids, but I don't want to go into it with an unrealistic picture. 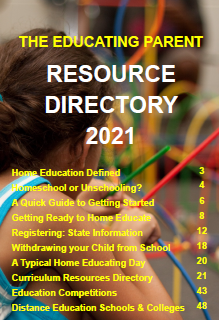 So, do you know of any stories where people have homeschooled and it hasn't worked out? What happened and what were the reasons?" I've written extensively about how to cope with 'burn out' - something that can often happen to over enthusiastic homeschooling parents in the first year with expectations out of whack with reality. Remember, reality is usually different for different families. What works for you or your children may not work for me and mine. Home educating seems to be, by and large, self-correcting. Problems can often seem insurmountable but there's ample time to solve them and progress is steady and sure, unlike the kind of problems you often get in a school environment which can drag on for years and really damage a child's educational/social development. It's much easier to solve problems when you're only answerable to your children and yourself and you have plenty of time and space to explore all the issues and solutions to find what works best for you. 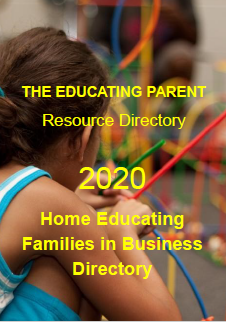 You can find many more articles about the benefits and disadvantages to home educating on my site. 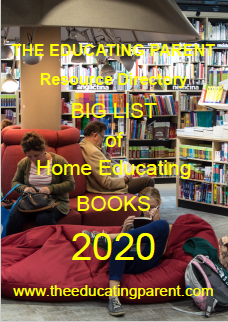 And if you need more reassurance or support, there is plenty to mull over in the Managing Homeschoooling Life category, although any of the other categories contain lots of tips and practical ideas for avoiding some of the issues that regulary crop up in homeschooling life. Sometimes it's how we read that gives the illusion that all is wonderful and well in homeschooling land. 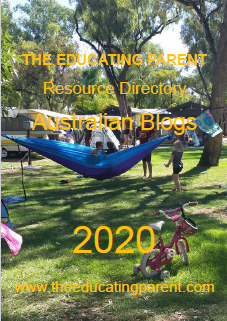 Most of who share our experience by writing tend to write about what we're discovering about learning, our children, ourselves, family life, parenting, how the whole process of homeschooling becomes easier as time goes by and why... It does sound rosy a lot of the time but usually what prompts us to write is that we've found a solution to a nagging problem, or are celebrating a success or insight that is the end result of a usually protracted learning journey. For instance on my The Educating Parent Yahoo and Facebook groups most of our emails are from people struggling with one problem or another. Some of these issues and problems would test even my resolve to remain home educating. I am heartened by the grit and determination of the parents to stick at it and find solutions, which often work for a week or two before new problems arise and we're all back to worrying and seeking more comprehensive solutions. When we read about homeschooling it helps to remember that it's usually those parents that have fought hard to overcome their own set of particular problems that made homeschooling seem difficult or impossible that write about those successes. We're reading the 'happy ever after end' to the story - the how to overcome the conflict and obstacles and what those obstacles and conflicts were are usually embedded within the story. 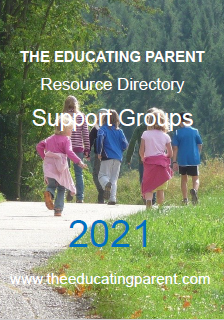 You are most welcome to subscribe to the The Educating Parent Yahoo and Facebook groups. We rarely stray off topic and don't get into long and frustrating debates. 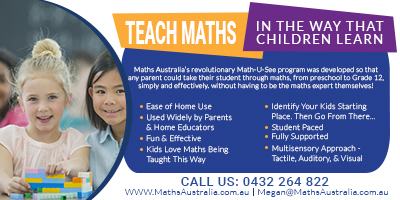 Our aim is to stay respectful of diversity and celebrate all forms of homeschooling. The more we chat the more comfortable about home educating our children we become! It depends on what you mean by 'what can go wrong'. If you mean the kids turn out just awful, the best example I can think of home education not working out is those horrible racist American twins who were homeschooled - Lamb and Lynx Gaede. But from their mother's perspective, homeschooling worked just fine and she was able to pass on the values which are obviously important to her! If you mean can someone please tell you about the downside rather than just how wonderful home ed will be. Well the studies I have read barely show up any disadvantages of home education. Gary Knowles studied the long term effects of home education on adults who had been home educated and concluded, "I have found no evidence that these adults were even moderately disadvantaged. Two thirds of them were married, the norm for adults their age, and none were unemployed or on any form of welfare assistance." (Knowles 1991). A study done by Jeff Richardson at Monash university cited the loss of income due to only one parent in the workforce as an obvious disadvantage; however for most home educating families, this is a life style choice and the benefits of strong, close family relationships and happy children far outweigh the monetary rewards. Home educating can be very demanding and/or exhausting. Dindy Vaughan talks about the hard work involved in homeschooling, but still recommends it, in an article in the Otherways homeschooling magazine. 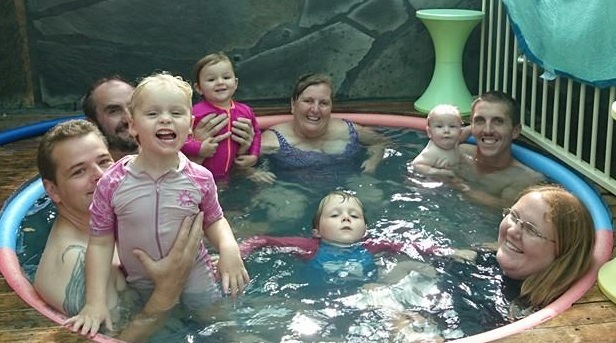 Some home educators 'burn-out'. There is a good article on burn-out in Otherways. And there is an article on maternal overload. And for some it can be isolating - whether geographically, socially or because there is just no-one around to share and understand during the hard times. Sometimes it's helpful to remember though that the hard times aren't necessarily because you home educate, they just happen anyway and for us, the process of working through them together as a family has resulted in a stronger family. And also I have read articles by mums who say that their home educated children turned out to be independent thinkers - just not in the way they expected or hoped. My house is very messy as there is always some project, some experiment or work in progress that can't be packed away just yet and there are never child-free hours at home to catch up on homework. With a large age range 15yo-2yo it is sometimes a challenge to find activities out of the home that suit everybody - having said that I'm sure the older/younger ones learn a lot from the experience of having to tag along to their siblings activities. I don't drive and find that getting together with homeschoolers who are out of my local area challenging by public transport. Family members are quite vocal about their disapprpoval of home education. My kids miss their schooled friends when they are at school. been confronting at times because I grew up in a home where "good"
I have to agree with some of the comments already given. The difficulties for me are lack of support, physically and emotionally. I have been a single parent for the past ten years and have no one to take over at all physically, I understand this is the case with many women who have partners and it can be tiring when we need to spend some quiet time alone. Finding someone to share and swap free days with it's worth the effort. I believe that when we find a way in which our needs can be met, we can find greater satisfaction in whatever we choose to do. My needs usually are met by me, and the first step to achieving this is through listening to myself and finding out what they are. This is important regardless of whether I'm a homeschooling mum or not, because the issue is not about homeschooling, it's about me feeling heard and cared for. 2. Very little time to myself. I have never had much time for hobbies or outside activities. The children are with you 24/7 and as they get older they get used to this and sometimes they can forget to give you space. This can be improved by setting good boundaries but I have not always done it. There are days when I think... If they were at school I could spend 2 hours (uninterrupted) just reading my bible or doing some scrap booking etc, etc. to my house without specific invitation in many years. you are with the children all the time. "I have spent 6 hours with the children today... I don't need to take them to the park as well." inhibited and there fore socially acceptable. This is a positive and a negative. I have been told my children are outspoken strong characters with little self control yet born leaders! I will point out we are strong disciplinarians so this is not a comment on "naughtiness" but rather how comfortable others feel with children who know and speak their mind like adults albeit it in a childish fashion. 6. 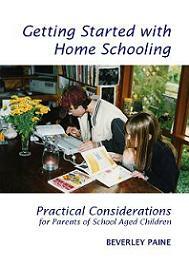 Your entire life becomes centred around homeschooling. This is both a positive and a negative. Some days I would like to just be "normal" yet I can not look at anything without considering how it affects my children's education. 7. It is difficult to become involved in daytime activities when they are older. People are happy for you to bring your 6 or 7 or 8 year old along to a craft group but when you are bringing a 16 year old and a 14 year old along to a ladies bible study people become uncomfortable. 8. Socially you must provide avenues for them to make friends. This is as easy as anything when they are younger but as they reach their teen years it is much more difficult. I have 3 aged 14, 16 and almost 19 and finding children their age has been hard. Not a lot of folks HS at this age and if they do they usually have already established their support group and it is hard to break into. It often involves traveling larger distances to get together. 9. Connected to the problem above is that my children became social misfits to a degree in that they don't swear, check out boys, listen to heavy metal, want to experiment with drugs, smoking or alcohol etc etc etc so people think they are "immature" and naïve or just strange. My son is still happy to play with a two year old and my daughter still likes dressing her cat in dolls clothes. My 19 year old has never been on a date or even had an open crush on a boy and her favourite past time is still reading not partying! All of this means that they don't fit I with "normal" children their age. They also tend to speak out vocally against unrighteousness and social injustice, etc, which means they are quick to put people off side. This is all good in my eyes as far as their heavenly destiny goes but be warned if you want children who fit into their peer groups easily. All of my children can fit into any social setting fairly easily but they soon discover that they are not happy to remain with a group that is interested in checking out girls or gooing over a cute boy or discussing how horrible the "olds" are. The pressure is on to make sure there are other likeminded people around for them to associate with comfortably. We have managed this but it has had its ups and downs. Ok that is enough! Time to sign off so you don't get overwhelmed. I will add though... I think homeschooling is the best thing I ever did and I would not go back to public schooling for quids. For each of the above 9 negatives I could give you 20 positives at least. I have homeschooled for nine years.